MONROE-WOODBURY, N.Y. – – Bouyed by the overwhelming sales success in its initial offering of upscale single-family residences at Highpointe, HornRock Properties is moving forward with plans to introduce a new selection of premium homesites at the suburban Orange County neighborhood. Sales are now open for the second phase of just 31 luxurious homes which features each of the community’s popular three-, four-and five-bedroom bedroom single-family designs and includes a brand new layout with an estimated 3,400 to 3,500 square-feet that will appeal to those seeking more living space than ever before offered at Highpointe. Homes will offer the same affordable luxury with prices starting from the mid-$400,000s. The new residences will provide all the well-liked attributes of the initial housing section and more. For example, homes will be situated on larger lots and boast incredible views of the historic Hudson Valley’s pristine mountains and valleys. “We’re fast approaching a complete sell-out of our available inventory as homebuyers have responded strongly to the elegant floorplans, competitive pricing and ideal location we’re offering here,” says David Hornblass, a principal of HornRock Properties, which is developing Highpointe just minutes from Route 87 in the Town of Monroe-Woodbury. For more information on the second housing phase at Highpointe, interested prospects can call (800) 689-3320 or visit www.HighPointeWoodbury.com. Highpointe offers homes with 2,040 to 3,277 square feet of living space. The spacious designs feature an open layout on the first floor, with one model offering a first-floor master-bedroom suite. 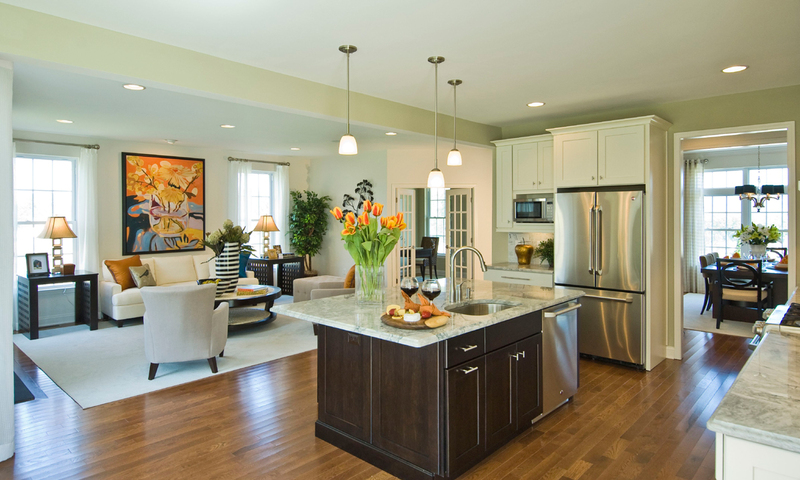 Many high-end features that are upgrades in other communities are standard in the homes at Highpointe at Woodbury Junction. Upgrades for features such as custom faucets, lighting, bonus rooms, flooring and three-car garages are also available. Homes are available in four different designs and with three distinct architectural styles: Traditional, Farmhouse and Arts & Crafts. Situated on the top of a ridge in Orange County, Highpointe allows buyers to experience everything that makes life in the Hudson Valley so special. Award-winning schools are within walking distance and highways and public transportation options are just minutes away. World-class shopping at Woodbury Commons Premium Outlets is also less than a five-minute drive away. The town of Woodbury’s “Woodbury Rec” program provides swimming, boating, day camps, fishing, sports fields, roller hockey and other programs for children of all ages. Highpointe residents will also enjoy such future resort-inspired amenities as a swimming pool and clubhouse. The Highpointe sales office is open Monday, Thursday and Friday from 11:30 a.m. to 5 p.m. and Saturday and Sunday from 10 a.m. to 5 p.m. To visit the model home, take the NYS Thruway North to Exit 16, after toll take the first exit on right (Woodbury Common). Go straight through traffic light onto Nininger Rd. Proceed 1/2 mile and make a right at the Woodbury Junction sign onto Dunderberg Road. Proceed to first light. Turn left and proceed 1/2 mile to the Highpointe Sales Center within the community. Paramus, N.J.-based HornRock Properties is an award-winning real estate developer started by brothers David and Maurice Hornblass in 2009. The company is currently developing multiple communities, including Highpointe and The Legacy at Mountain Lakes in Mountain Lakes, N.J. HornRock Properties has also introduced an aggressive campaign to acquire more than $125 million worth of developable real estate.